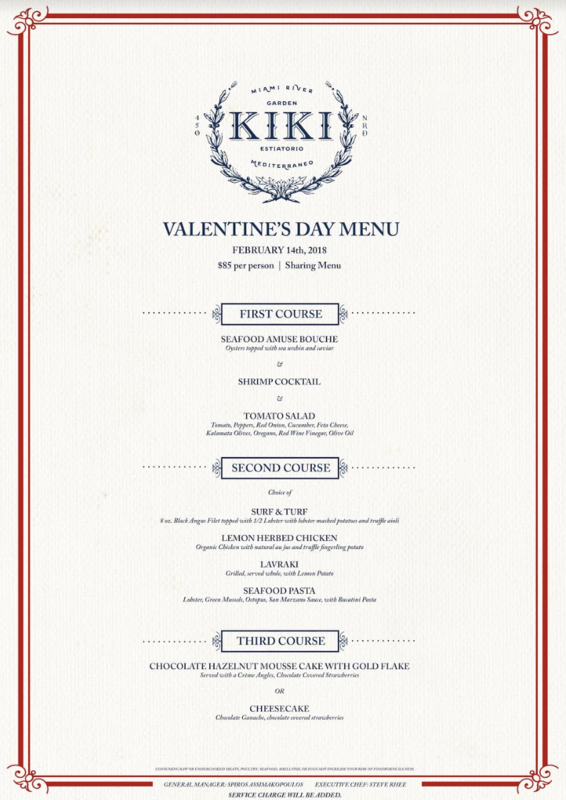 Celebrate Valentine’s Day at Kiki on The River, Miami’s most chic new restaurant on the Miami River with inside dining and riverfront garden celebration options. Recently named EATER’s People’s Choice for the most beautiful dining room in Miami, Kiki on The River will offer idyllic riverfront views and a lavish $85 per person sharing menu. 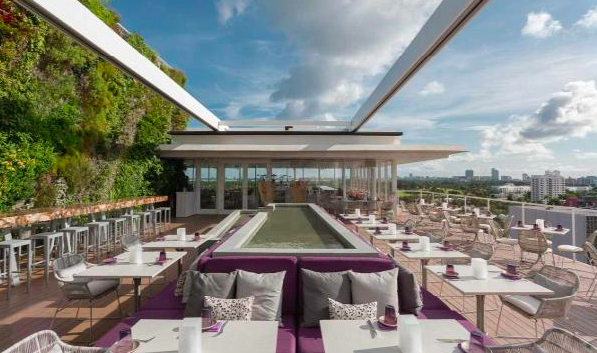 Heralding a new dining experience on the Miami River, Kiki on the River, is Miami’s newest indoor/outdoor new dining destination. Romantic and contemporary, the riverside restaurant embraces the hospitality and spirit of the Greek islands with the service and style of a romantic island garden restaurant & lounge. 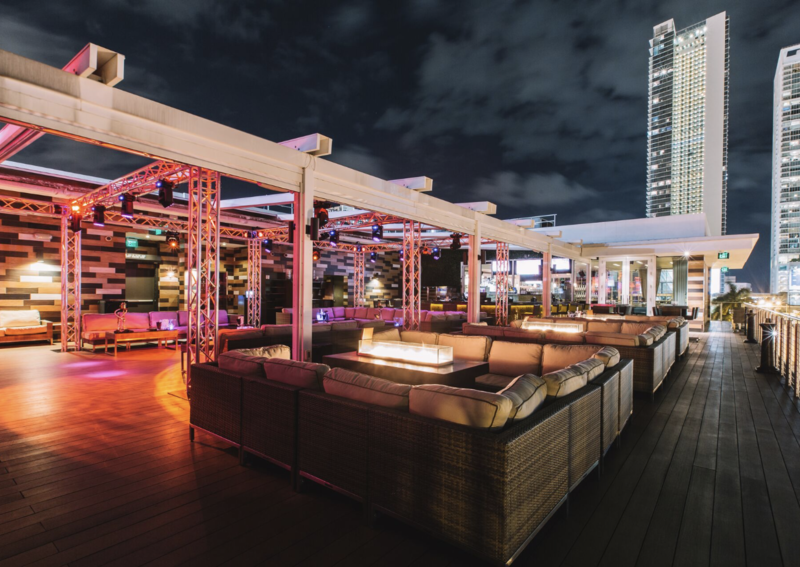 Guests are invited to celebrate Valentine’s Day at Downtown Miami’s most romantic rooftop restaurant, the ROOFTOP at E11EVEN. The intimate dining room with its floor-to-ceiling windows creates the perfect Valentine’s ambiance for guests to enjoy a carefully-crafted, three-course prix fixe menu, complete with a bottle of house select Red or White wine per couple. Priced at $59 per person, reservations will be available from 7:00 p.m. to 1:00 a.m. The specially priced three course menu will be available on Saturday, February 10th or Wednesday February 14th. As an extra added bonus on Wednesday, February 14th only, guests can choose to continue their evening at their very own private VIP table downstairs at E11EVEN Miami with specially priced Perrier Jouet Grand Brut Champagne bottles for $111. 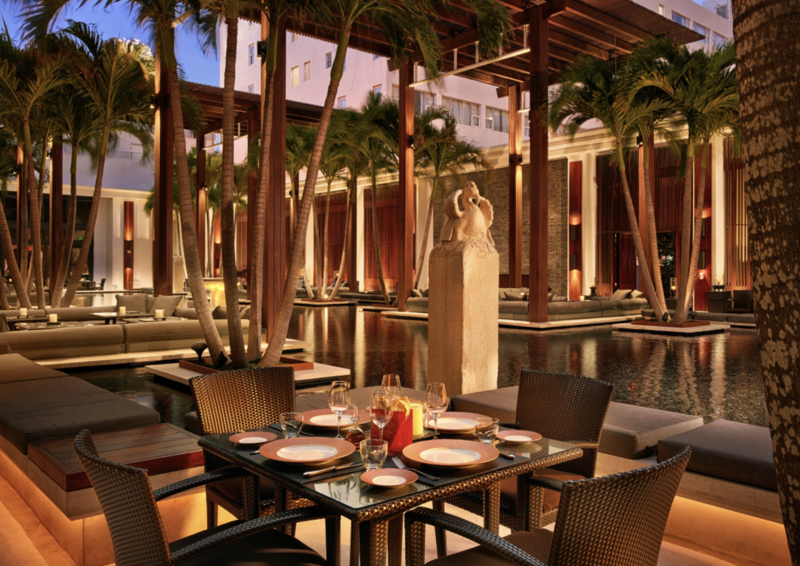 Juvia is the perfect romantic destination for lovers in Miami Beach to dine this Valentine’s Day. Between its premier vertical garden and delicious new Valentine’s Day five-course tasting menu, Juvia is a must-try with friends, family, and significant others this upcoming lovers’ day. For $150 per person, guests can get the tasting menu including an array of beautifully crafted dishes like the Warm Caviar, Tuna Watercress, and specialty Surf and Turf. Dessert includes delicious Carre Pistachio Griottes or assortment of hand-made chocolate truffles. Details: Presenting “Love at the Shore!” Whether you’re spending Valentine’s Day with the whole family (no babysitter? no problem), or just you and your special someone, the Diplomat has romantic and affordable dining options all under one roof for anyone who is looking to celebrate love. Plus, there’s free validated parking when you dine at any of the restaurants! 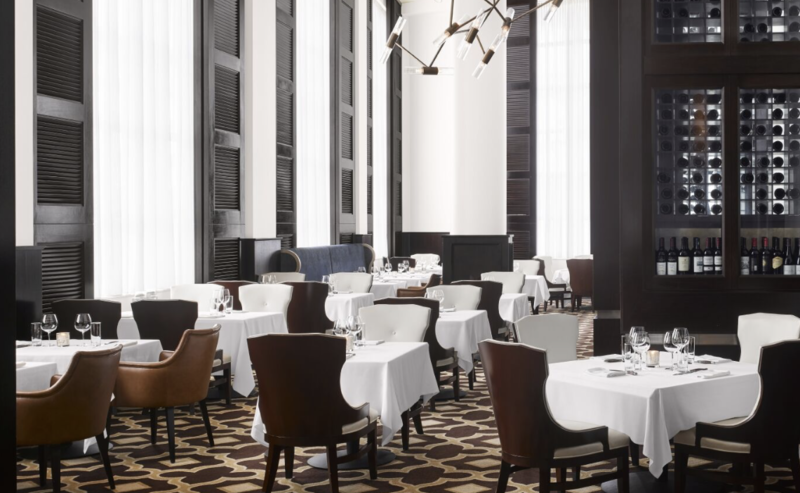 Details: Inspired by the hotel’s iconic period through the 1950s, Diplomat Prime is a swanky luxury boutique steakhouse offering several “Love a la carte” dinner specials this Valentine’s Day. 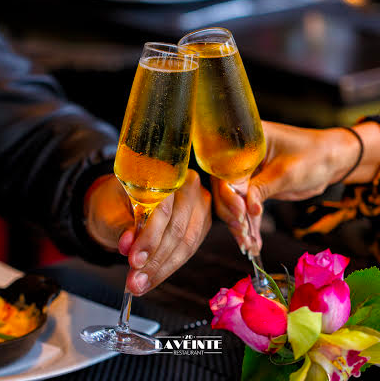 Treat your significant other to a $125pp 3-Course Tasting Menu with a $35pp Wine Pairing option, $45 Raw Bar Tower for Two or the $35pp Trio Caviar Tasting. Details: Famed chef Geoffrey Zakarian and his coastal American restaurant Point Royal believe “sharing is caring” this Valentine’s Day. In honor of the romantic celebration, guests can enjoy special large format sharing style dishes including $24 Sweet Corn Polenta Ravioli, $55 Shellfish Plateau, $75 Whole Grilled Branzino and $85 Beef Wellington. Details: For couples who want it all, famed chef Michael Schulson’s Monkitail invites guests to choose “one of everything!” Order the $65 Chef’s Tasting Menu and choose 10 items — 1 from each section on the menu, including sushi & sashimi, meat, fish, and more — plus dessert. Details: Located at The Diplomat Landing, Portico is a waterfront beer and wine garden serving sharable, light-Italian favorites. On Valentine’s Day, all bottles of wine will be half-of as guests enjoy sunset views on the Intercoastal and entertain themselves with outdoor games like ping-pong, corn hole, and giant Jenga. Perfect for laid-back couples and families. Details: For those looking to take a more casual approach, Bristol’s Burgers offers a modern take on a fast-casual burger restaurant. The menu highlights ingredient-driven burgers, indulgent desserts and boozy shakes. Available on Valentine’s Day, enjoy a discount on their signature Brownie Sundae for Two ($15). Challenge your significant other to a PacMan duel – the space also has an arcade off to the front of the restaurant, free for all guests to enjoy. Details: This romantic evening comes with views. Located in the heart of Fort Lauderdale Beach, Terra Mare is offering a cupid-approved prix fixe menu this Valentine’s Day. Reserve a seat in the main dining room or on their expansive tiered patio and enjoy Chef Johan Svensson’s favorite land and sea dishes. Menu highlights include Tuna Crudo, Foie Gras Torchon, Beef Carpaccio, Seared Scallops, Beef Wellington, and of course, the Terra Mare which features braised beef short ribs and a half lobster tail. Finish it off with White Chocolate Mousse for an evening you’ll never forget! Details: Take your date to France – no passport needed! 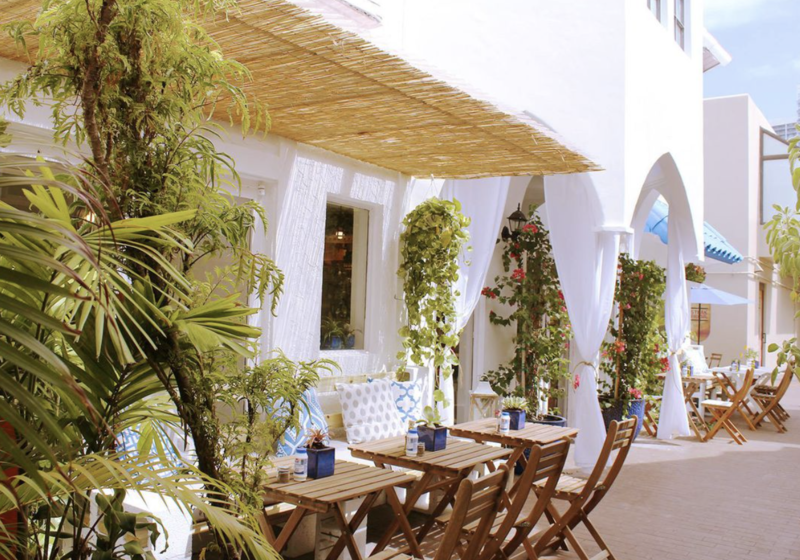 Stephen Starr’s bistro in the chic Bal Harbour Shops is beautifully designed by visionary Shawn Hausman to reflect sidewalk cafes with blue and white woven bistro chairs outside on the lush patio and an intimate interior with details including white table cloths and tapered candles. From Oysters and Escargot to Petite Filet MIgnon and Moules Frites and an extensive wine list, Le Zoo is an excellent option for a romantic Valentine’s date. 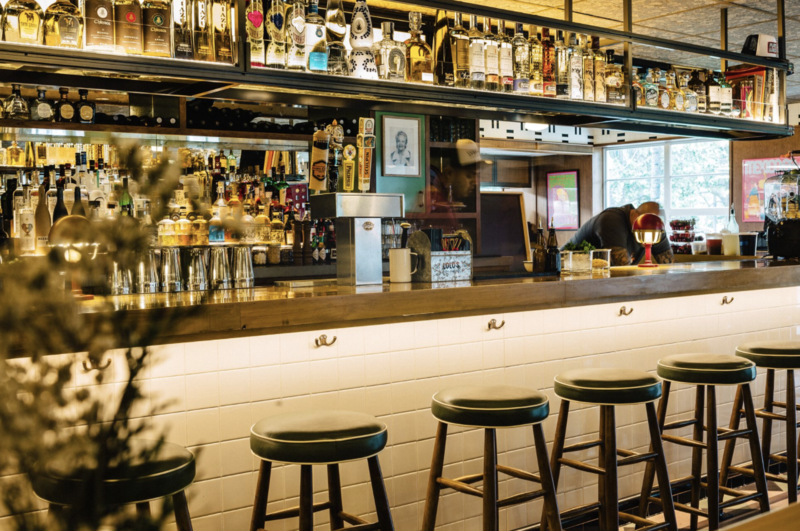 The Den – With access only through the kitchen doors, The Den at AZABU Miami Beach features an 11-seat sushi bar with a counter crafted from a Japanese Hinoki Cypress tree. The Den serves Omakase using local and imported seafood flown directly from fish markets in Japan, offering guests a traditional Japanese-style, intimate dining experience. 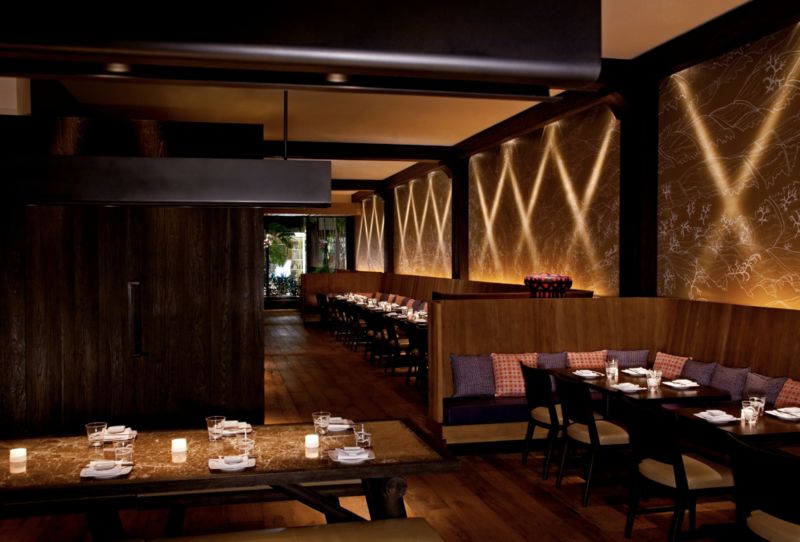 Dining Room – The main dining room at AZABU Miami Beach boasts 80 seats and a six-foot Bonsai fixture highlighted as the centerpiece surrounded by understated wood décor, boasting 80 seats. 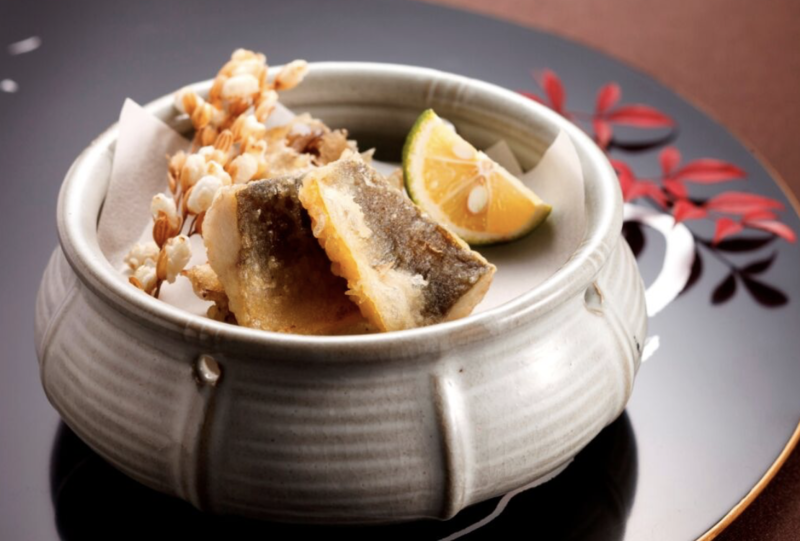 There guests can enjoy Izakaya dining style and order a variety of shareable dishes like Robata-grilled Yakitori, Japanese fried rice served tableside on a sizzling Tobanyaki grill, and other traditional fare such as Udon. Another exciting destination within the dining room is Bar AZABU – the restaurant’s cocktail bar where the program utilizes unique imported ingredients and Japanese-inspired presentation styles served in glassware handcrafted by a Japanese artisan. Reservations: Reservations for The Den are limited to call-in only at (786) 276-0520. Reservations for the dining room can be made via OpenTable. 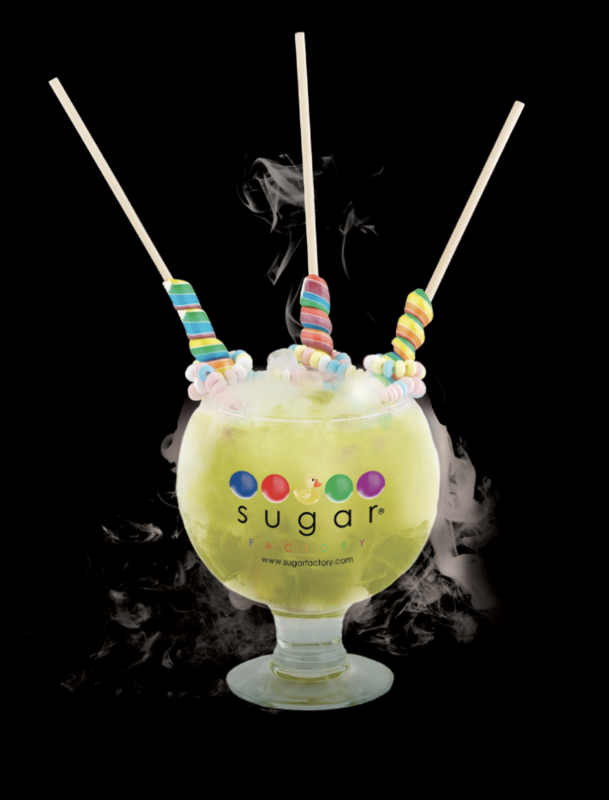 Whether celebrating Valentine’s Day includes enjoying a goblet for 2 or splitting an insane milkshake, Sugar Factory has everything you need to celebrate Valentine’s Day the right way with your loved ones. Ocean Drive’s hottest spot boasts beautiful views of the water along with tasty dishes, incredible drinks, and a night you’ll never forget! Lovers can also choose to enjoy a special prix-fixe menu for $79. 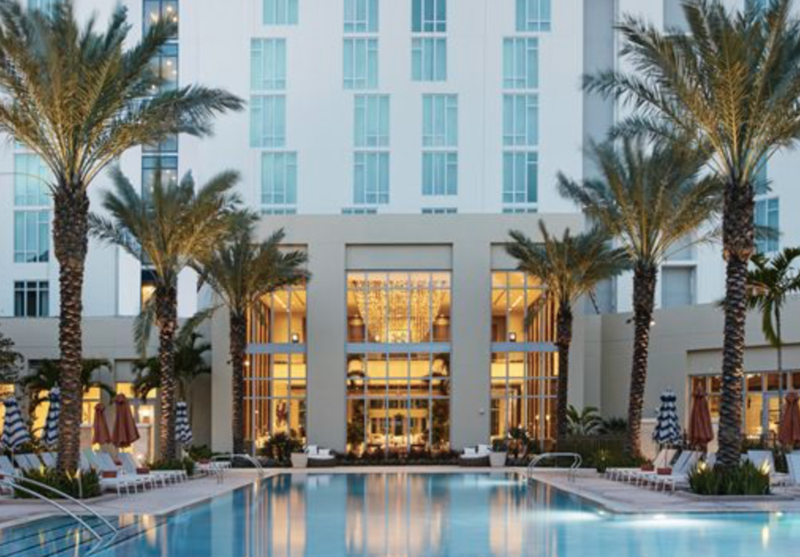 Details: On Valentine’s Day, Jaya at The Setai, one of Miami Beach’s most romantic restaurants, will be offering a decadent four-course menu. Priced at $115 per person ($57/ child), the menu will feature Chef Vijay Veena’s signature dishes including a choice of Oysters or Tuna Tartar, Peking Duck Dumplings or Maine Scallops, Lobster or Rack of Lamb and more. All ladies dining that evening will receive a complimentary Valentine’s Day gift including a rose and freshly baked macaroons. Reservations are available from 6:00 p.m. to 10:00 p.m. Seating is available in the main dining room or in the hotel’s courtyard. To make a reservation please email dining@thesetaihotel.com or call 855.923.7899. For more information visit www.thesetaihotel.com. In addition, Jaya is offering a special Valentine’s Day cocktail– The Rose Martini. Made with Sake and Champagne, the cocktail, priced at $16, is also available at The Bar and in The Courtyard. Details: Lolo’s Surf Cantina is a great date-night spot for lovers looking to celebrate with a low-key dining experience while enjoying authentic Mexican cuisine like fresh tacos, grilled corn, carne asada plus delicious handcrafted margaritas and various cocktails in a cool beachside setting. Details: After a quick shopping trip at Bal Harbour shops, end the day at Makoto, the chic Japanese eatery and beaming addition to restaurateur Stephen Starr’s culinary empire. Executed by Chef Makoto Okuwa, an Iron Chef competitor and disciple of the famed Chef Morimoto, Makoto will be adding special dishes to the menu in honor of Valentine’s Day. Notable additions include Wagyu Bavette with charred cauliflower and Daikon mustard, Koji Pork Belly with jidori egg gribiche and, for dessert, Shaved Ice with strawberry sorbet, prosecco espuma, pâte de fruit and toasted coconut. Celebrate Valentine’s Day in the Sky at Conrad Fort Lauderdale Beach, which has debuted an exclusive romantic dinner on its 24th-floor terrace for couples looking for a luxurious culinary experience. 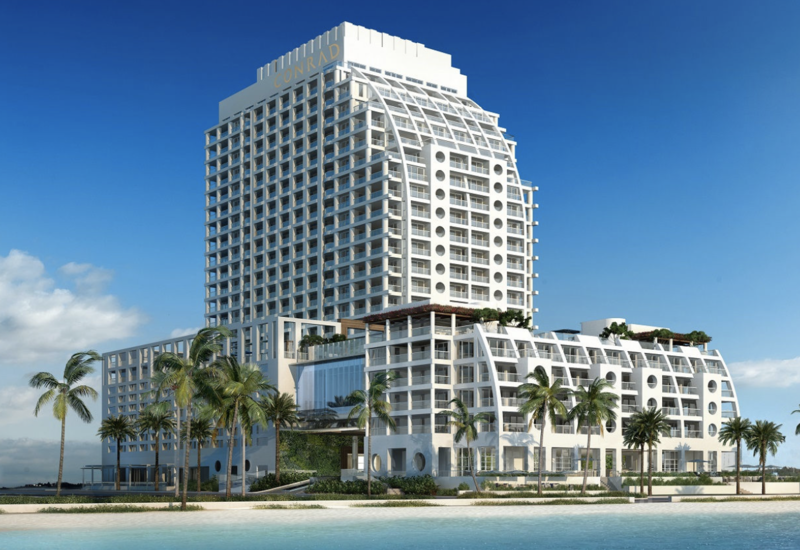 Hailed as the new beacon of luxury on Fort Lauderdale’s North Beach, the resort is hosting an elegant evening featuring a pre-dinner cocktail hour with seasonal passed hors d’oeuvres and bottomless Dom Perignon champagne as well as hand-crafted cocktails from its team of master mixologists. 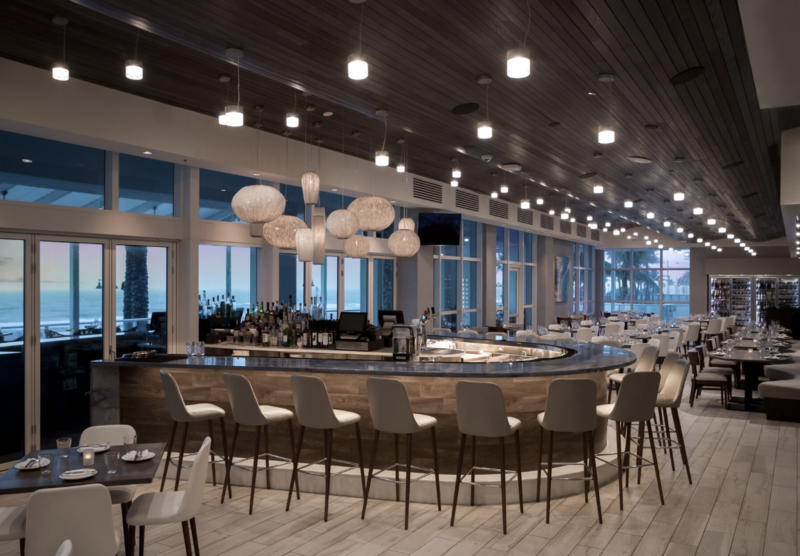 With views of the Atlantic Ocean and the Intercoastal Waterways, guests will enjoy live music, chef presentations at each table and personalized service with a dedicated server for the six-course meal. Dishes include Maine scallop crudo, uni risotto, strip loin, and dark chocolate mousse. 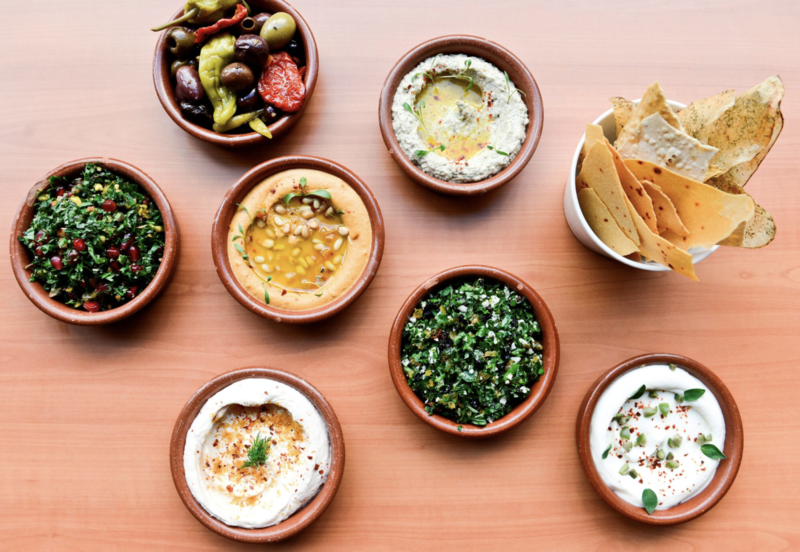 Tucked away in heart of Downtown Miami (142 SE 1st Avenue, Miami, FL, 33131), take a culinary Mediterranean journey this Valentine’s Day with Meraki Greek Bistro’sprix-fixe menu offering guests a three-course meal! The exclusive menu allows guests to take a romantic getaway to Greece with authentic appetizers including a broccoli velouté soup, tyrokafteri with pita (spicy feta cheese spread) and salata caprese (tomatoes, fresh mozzarella, basil, imported extra virgin olive oil, salt and pepper); savory entrées including a tuna souvlaki platter, shrimp and prosciutto, filet mignon skewer and executive chef Giannis Kotsos’ signature lamb filet; as well as sweet desserts including a chocolate praline cheesecake and a signature “kormos” (chocolate and sweet biscotti cake). Couples can call Meraki at 786.773.1535 to make a reservation and enjoy a complimentary glass of prosecco or a Greek white wine sangria. P.S. be sure to reserve the exclusive couple’s hideaway. Check it out below! Details: If you’re looking for something more than just a romantic dinner this holiday, check out Atton Brickell Miami’s free “Movie Under The Stars” event at 7pm. 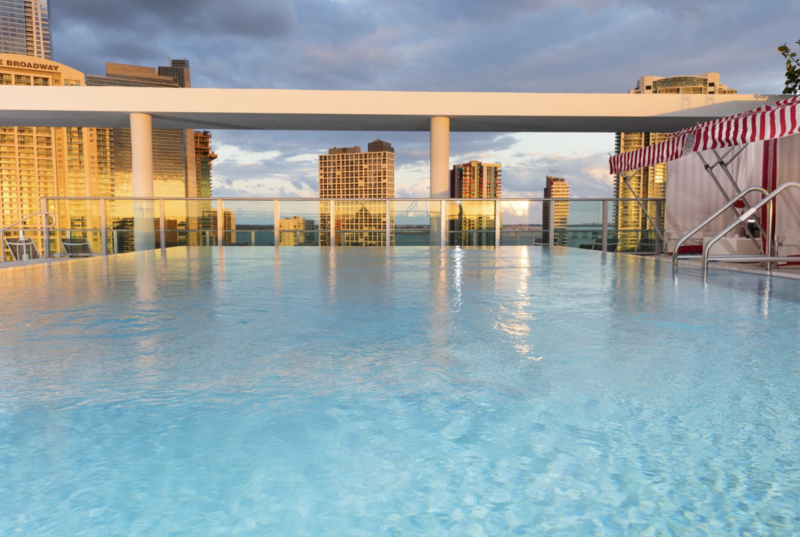 For the lovers’ holiday, attendees will receive a complimentary glass of prosecco or wine as they watch “50 First Dates” on a 16-foot blow up screen on Atton’s picturesque rooftop pool. With stunning 360 degree views of Biscayne Bay surrounding you, a romantic moonlit sky above and a special holiday menu, there is no better way to spend a quality night with your loved one. Link to menu. Details: Sing your heart out at Blackbird Ordinary NEW karaoke night. After belting out your favorite Mariah Carey song with your lover or bestie, sip on Blackbird’s signature cocktails and chow down on heart-shaped pizzas from local artist Lone Wolf of Wolfdown Pizza. 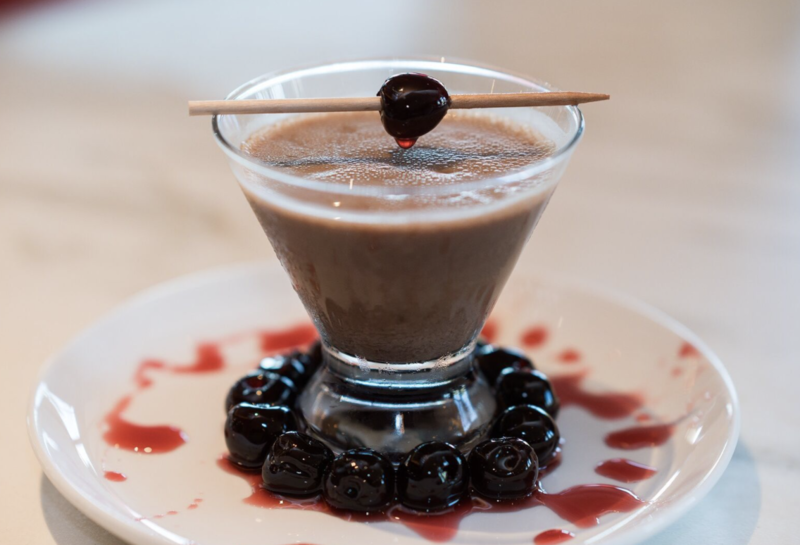 Available starting February 12-18, Bulla Gastrobar will be offering an exclusive cocktail, the Chocolate Covered Cherry, in honor of Valentine’s Day. This delicious cocktail plays a variation on a Chocolate Martini and is intended to making guests feel as if they are biting into an actual chocolate covered cherry! Priced at $12, the Chocolate Covered Cherry is made with Russian Standard Vodka, Lustau Pedro Ximenez sherry, dark chocolate and cherry bitters. Details: If you’re looking to celebrate Valentine’s Day with some out-of-the-box fun, then look no further because KINGS Doral is the go-to spot for a fun night out with a loved one this season. 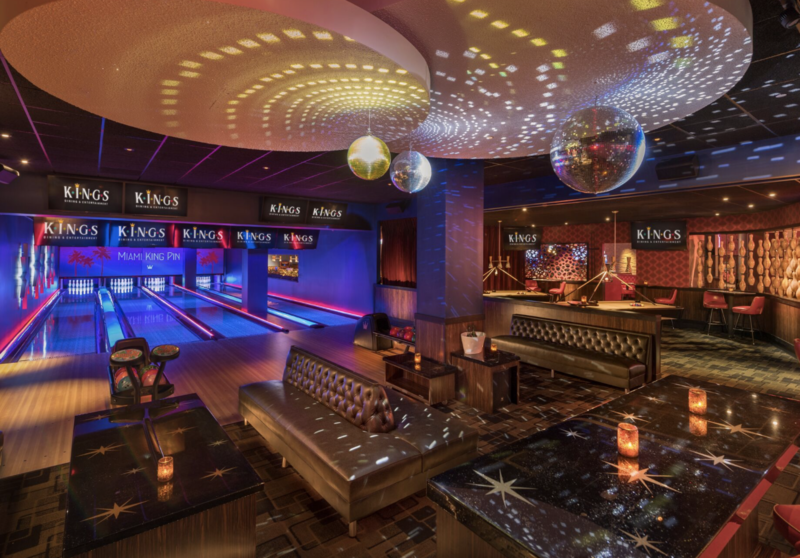 Enjoy premier bowling, delicious food, crafty cocktails, and more. The multi-purpose entertainment venue also offers a Karaoke room, private bowling suite, billiards, air hockey and more! 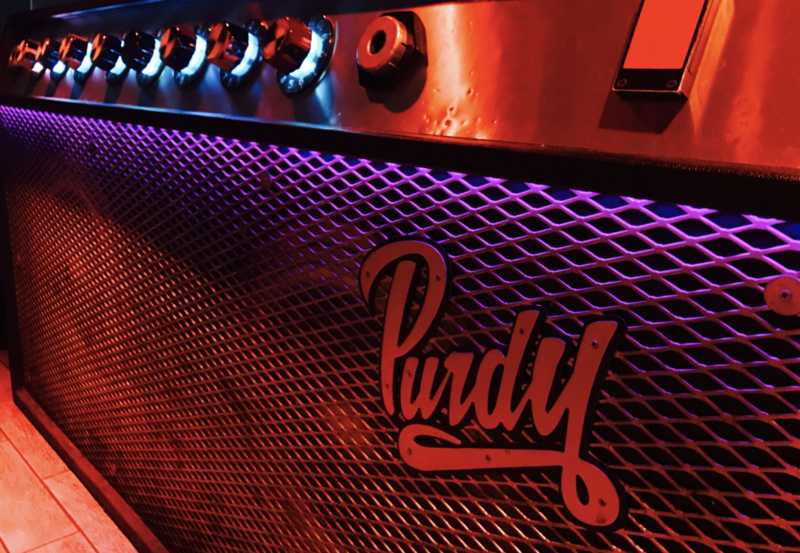 Details: The local hotspot in Sunset Harbour, Purdy Lounge, offers its guests inexpensive libations and a lively atmosphere for couples or singles alike! Dance the night away and share the love while indulging in fun cocktails and listening to eclectic tunes. 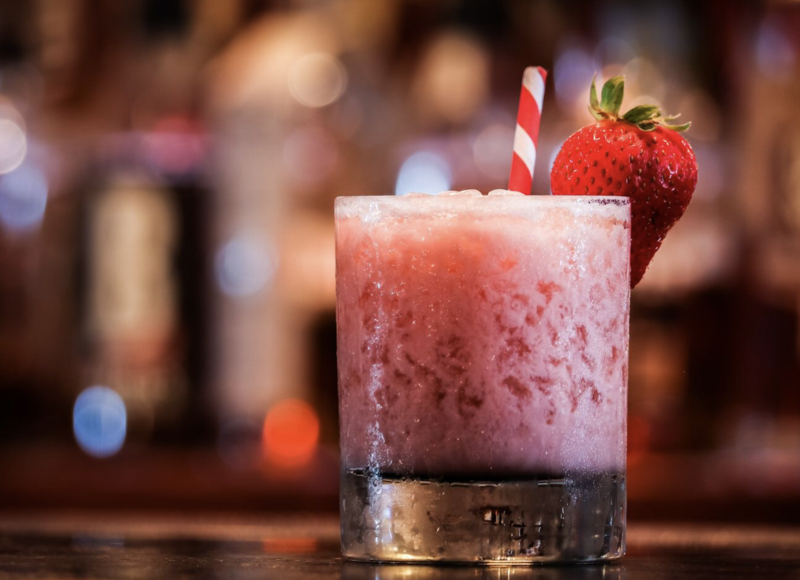 Details: Calling all lovebirds is Pisco y Nazca with their signature Valentine’s Day cocktail the Pink Lady. 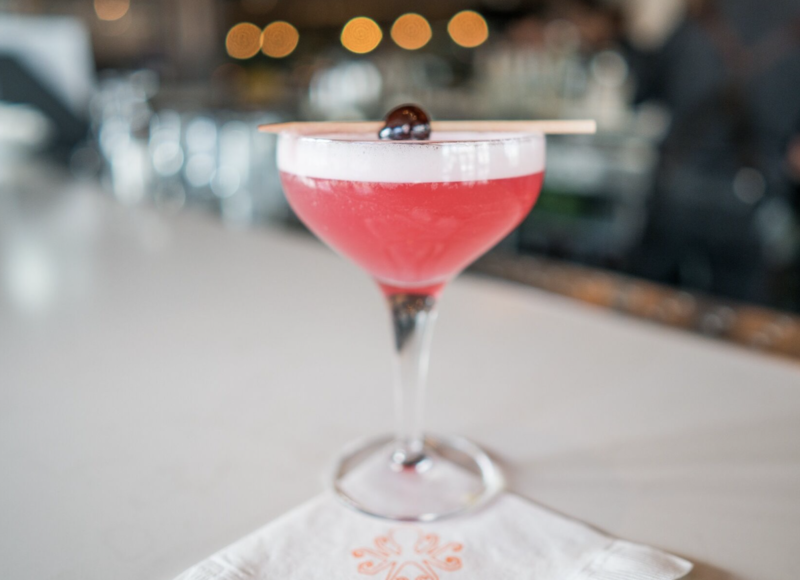 Available from February 12-18 for $12, this lovable cocktail features Bombay Sapphire, St.Germain, cherry syrup, and pasteurized egg white. Enjoy this modern variation on the Pink Lady one of the first gin cocktails ever created! Details: As if dining with your loved one at a restaurant made for romance isn’t enough, the elegant and luxurious Brickell spot has created a special menu for Valentine’s Day. The $129 tasting menu offered only for the holiday will consist of Elcielo’s signature chocotherapy and eleven other courses including a “Duo Snack,” “Cocktail Love Potion,” “Valentine’s surprise dessert” especially curated by celebrated pastry chef, Antonio Bachour, and more. At Elcielo, the multi-sensory courses are designed to awaken the senses and bring out another dimension of bonding between loved ones. There will be two seatings with 14 tables at each – one is from 7–9pm, and the other is from 9:30–11:30pm. 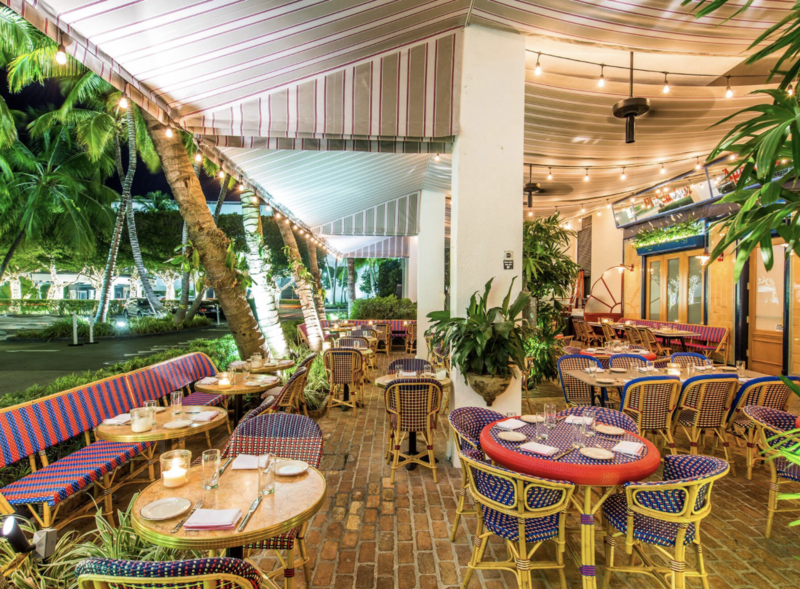 Miami’s favorite Mexican escape, Cantina La 20 is sweeping couples and loved ones off their feet. On Valentine’s Day, sweethearts are invited to fall in love with a decadent three-course menu surrounded by our striking Mexican Art-Deco theme that blends modern design elements with traditional history. Executive Chef Santiago Gomez is preparing a diner designed to stimulate the senses with alluring aphrodisiac ingredients. The price-fixe menu includes a welcome glass of prosecco while the first dish of Kumamoto Oysters pairs perfectly with the bubbles. The following course will be a Wagyu-Beef served alongside a cauliflower puree and chanterelle mushrooms while lovers can end their experience with a decadent Chocolate Raspberry Mouse. Throughout the evening, mariachis will serenade tables to compliment the mood for the evening. The three course dinner is $45 per person and the regular menu is also available to order. Reservations are required and can be made by calling 786-623-6136 or online at Open Table.